We professionally install high quality flat & pitched roofs, fascias & soffits, bargeboards and guttering for property owners in Birmingham and the surrounding areas. 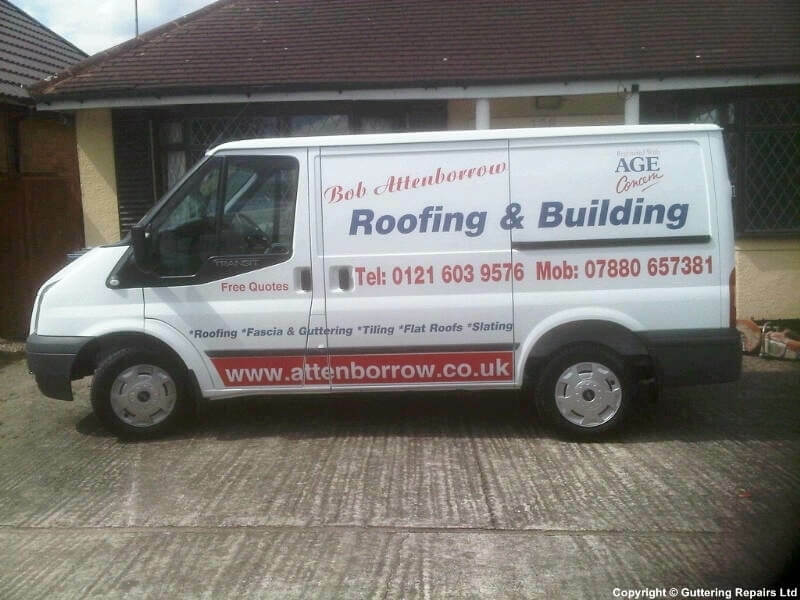 Bob Attenborrow Roofing ultimate goal is to make your experience with us a pleasant one. After all, we want you to keep coming back to us for all your guttering and roofing needs. We are always happy to provide free inspections and estimates without any obligation to you, so please call us for gutters and roofs that will last! We agreed a price and Bob gave us a date and time for the job. Unfortunately we had to go out, but when we got home Bob had been, the job had been completed, no mess, perfect service. He is a top guy not only prompt, good price but counts customer service as a priority. Would I recommend Bob, YOU BET I WOULD. Thanks Bob. Excellent service by pleasant workman. I was very impressed both with the speed of response and the job undertaken. Would recommend this company both for value for money and quality. Very prompt same day service. Bob did a great job - came and sorted it from my description. Contact was made on Friday and job was done on Saturday. Very efficient and great service. Bob turned up on time, and carried out the job there and then - it was a small, but much needed job. Thanks, Bob. Bob was honest, prompt and professional when unblocking a drain that was causing a downpipe to overflow. He even said I could pay him later as I was at work. Very reasonable rates too.